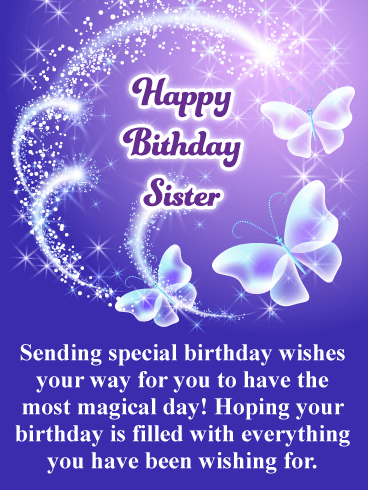 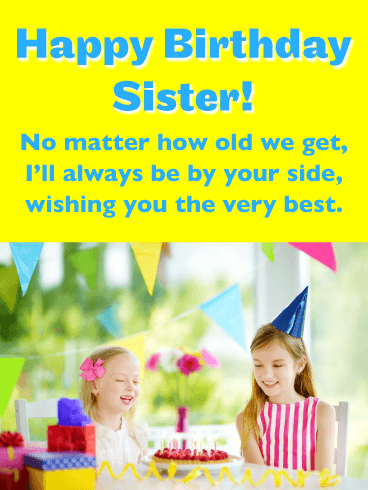 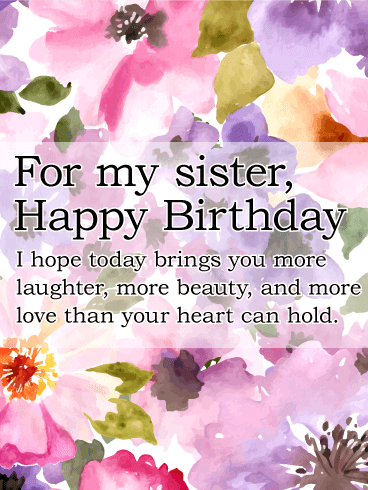 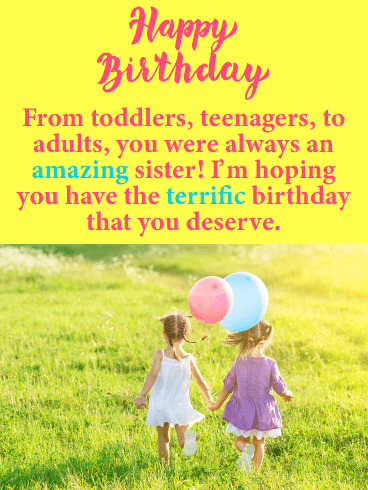 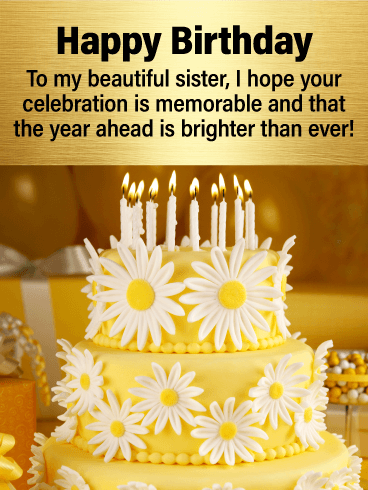 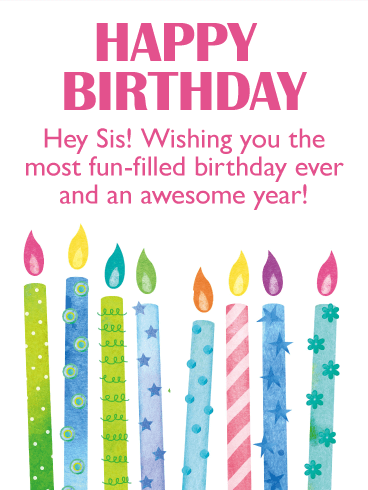 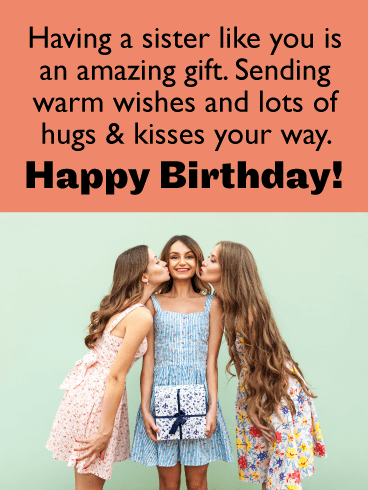 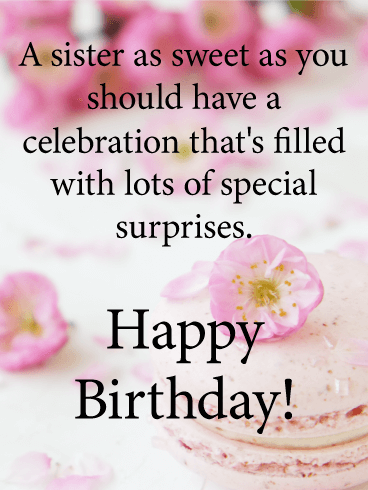 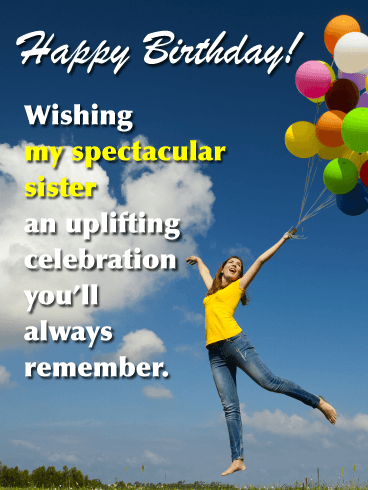 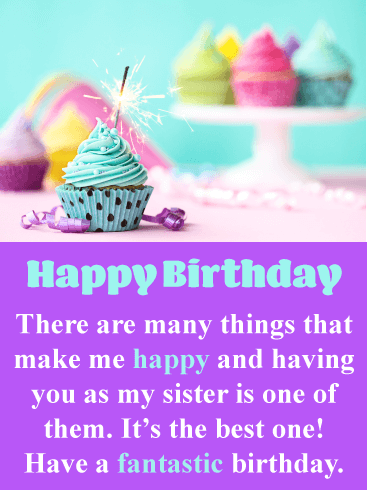 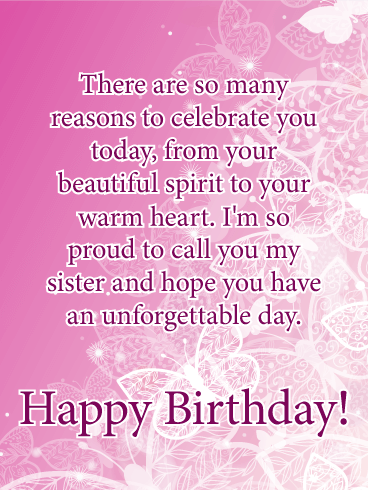 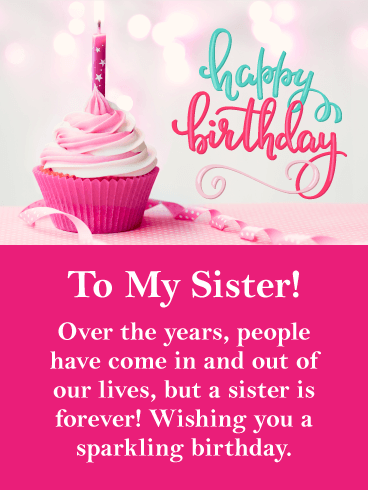 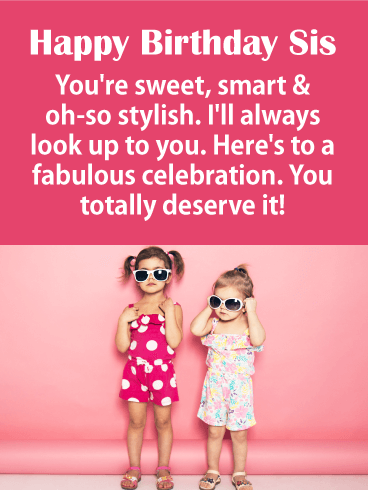 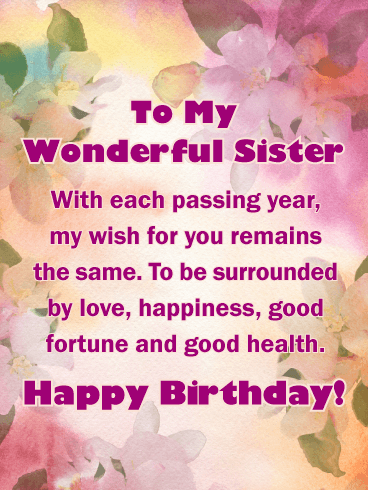 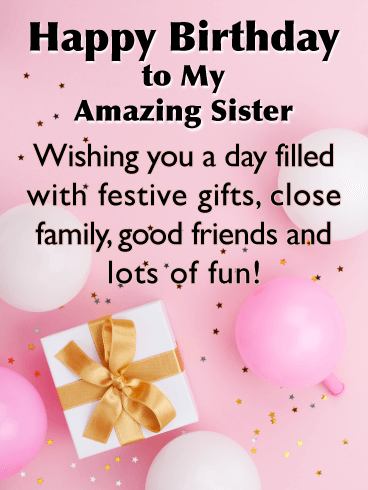 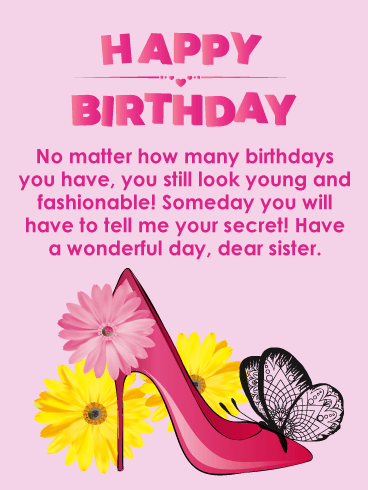 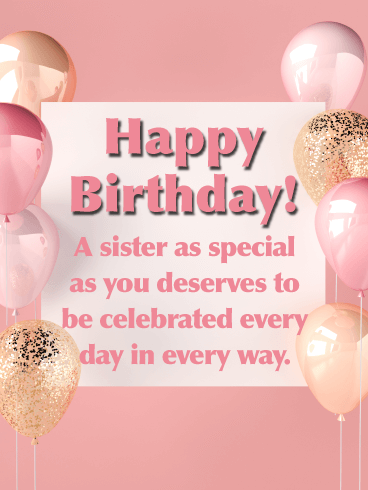 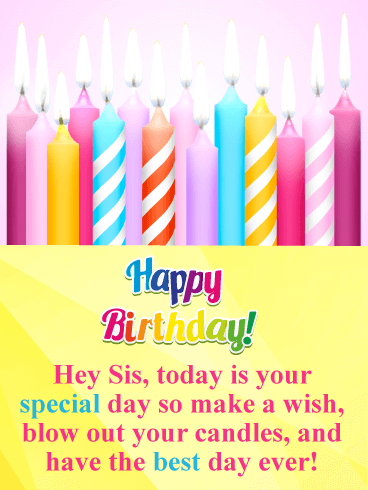 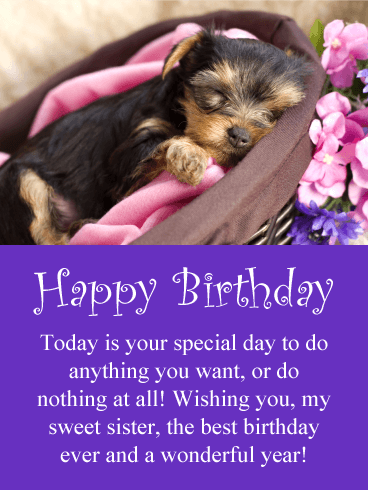 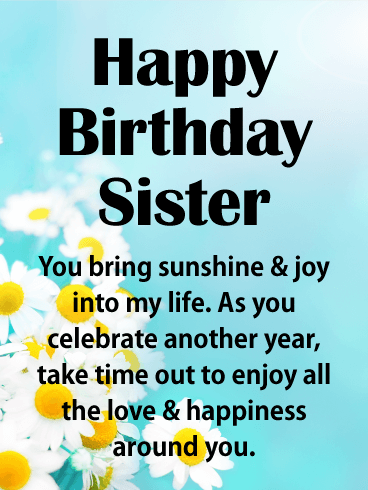 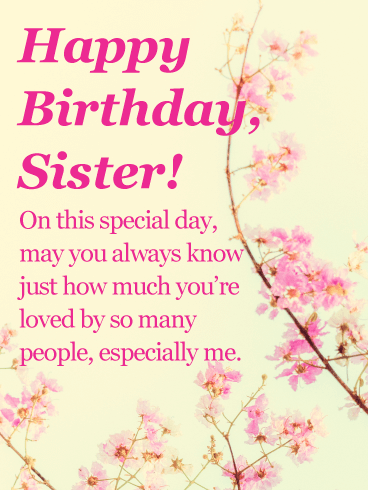 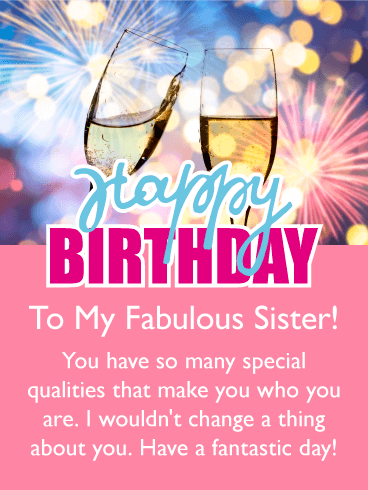 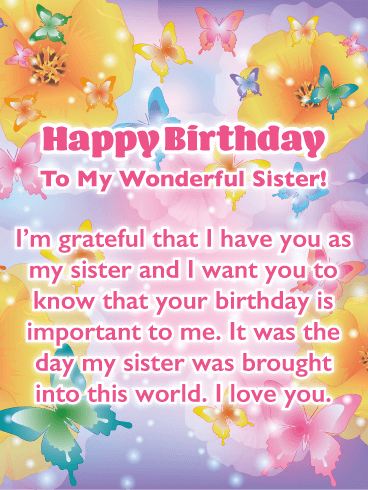 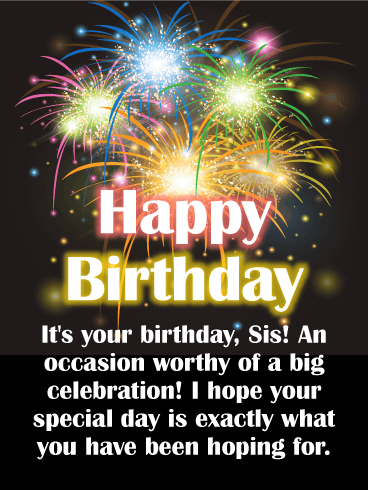 Your sister will be floating on air when she sees this uplifting birthday card! 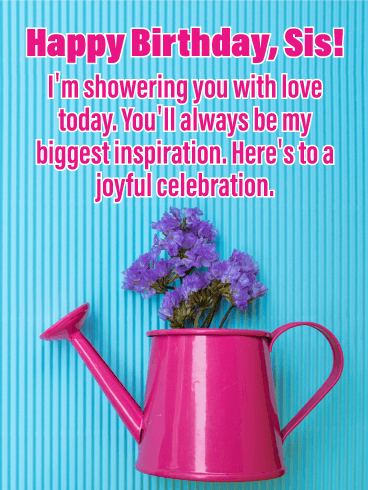 The very elated woman here is holding a bunch of colorful balloons, surrounded by the blue sky and green grass. 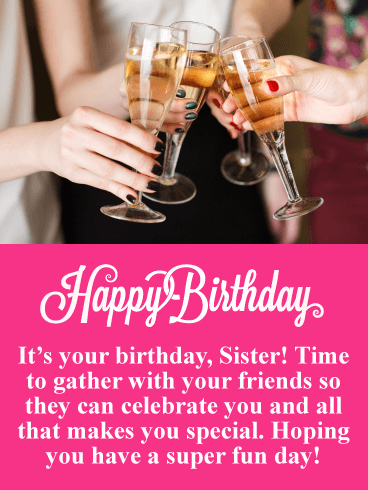 It’s the perfect setting to put your spectacular sister in the mood for a party while wishing her a celebration she’ll always remember. 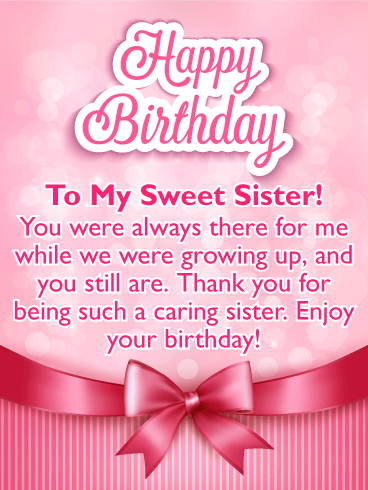 There’s nobody sweeter than your sister. 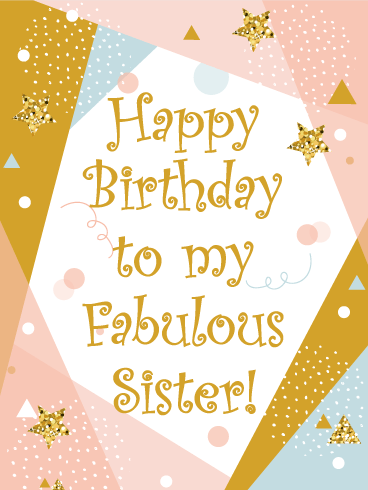 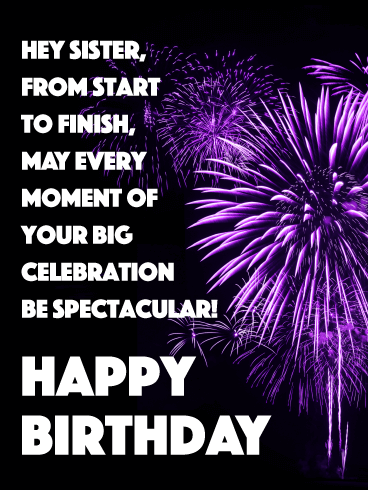 And this fabulous birthday card is just the way to let her know! 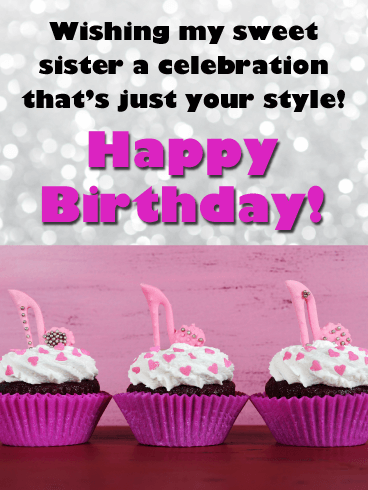 Three cupcakes, with hot pink wrappers, are beautifully decorated with frosting, pink hearts, and pink high heels. 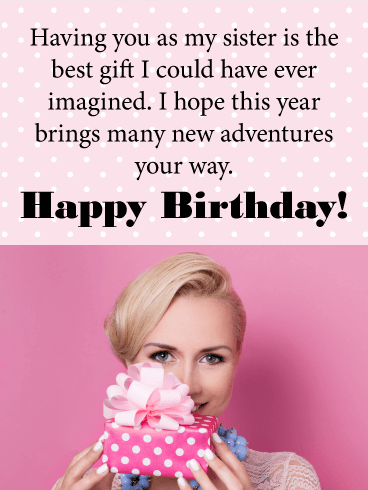 It’s the perfect surprise to wish somebody as special as her a celebration that’s just her style, no matter what age she’s turning this year. 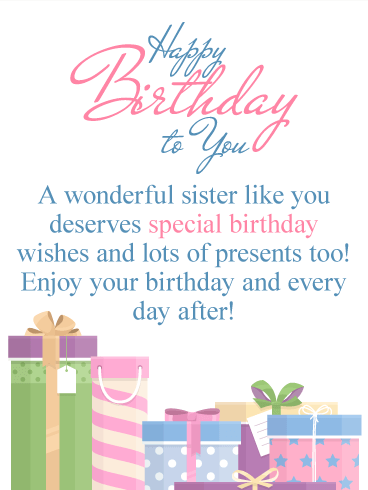 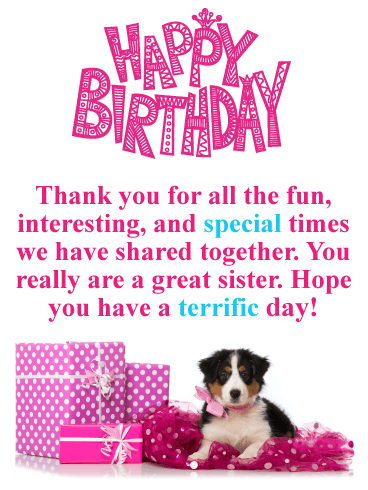 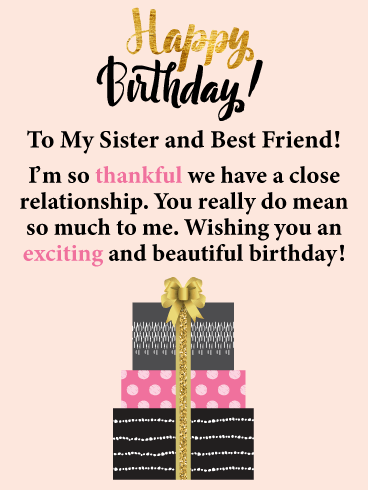 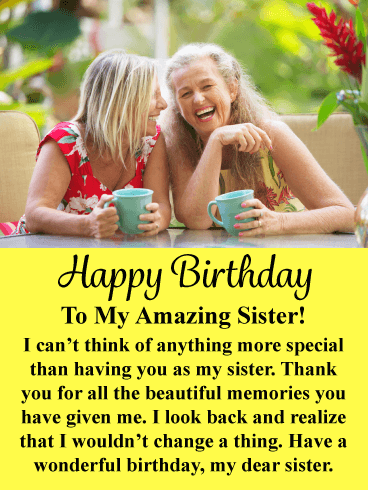 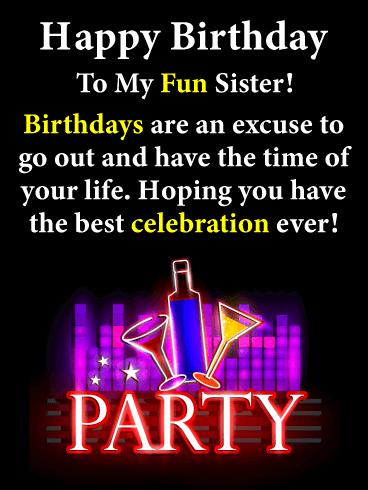 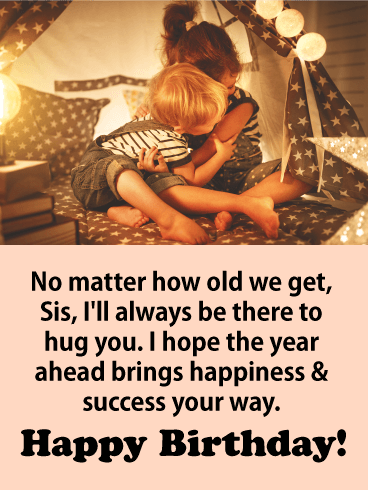 It’s your sister’s birthday. 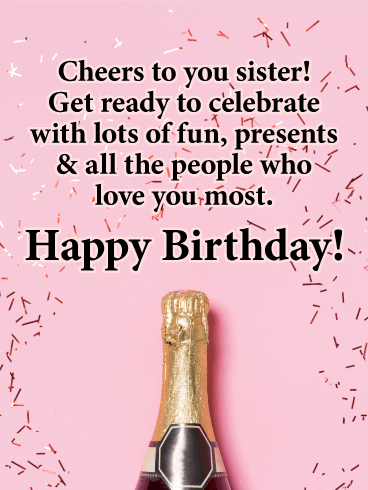 Let her know you’re thinking of her and wishing her well with this festive and fabulous card! 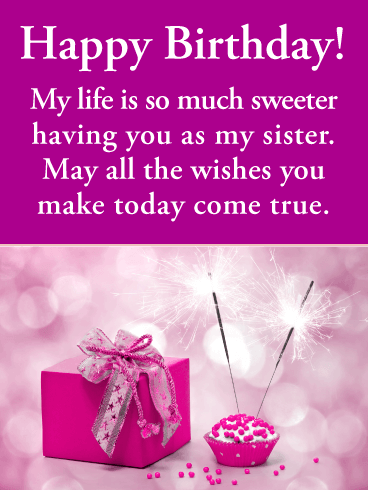 A pink background is decorated with pink and gold balloons for an elegant touch. 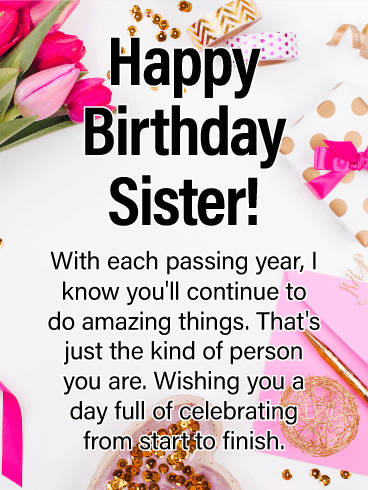 And right at the center is a heartfelt message, which reminds her just how special she is and how she should be celebrated every day and in every way.